Jakub Nox Ambroziak, a talented Polish beatmaker, has recently released an interesting album "Dark Side of the Sun", mastered by one of the leading hip-hop / beat producers in Poland - Noon. The sound is fat and simply perfect! Nox explores dark sonic territories, heavily laden with mind-twisting voice samples, moving from enchanting downtempo tribal beats, like e.g. Inarritu or Dark Side of the Sun, through trippy vocalizations on Hole, great spacey cosmic boogie of Solar System and more experimental joints of Grey Sun and Erse to my personal highligh of the release - Treebeard in the Dead Wood which could be used as a background music in any psychodelic session. All in all another solid release by a Polish producer. Highly recommended by Doktor Krank. 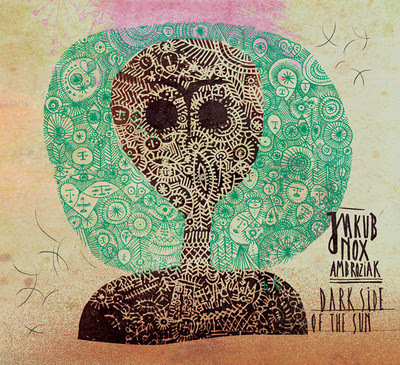 Nice Digipacks to be purchased for PLN 19 here: Jakub Nox Ambroziak - Dark Side of the Sun (Allegro).